1 wrappers and packs - minus the gum (№1). 2 inserts - pictures etc. (№2). 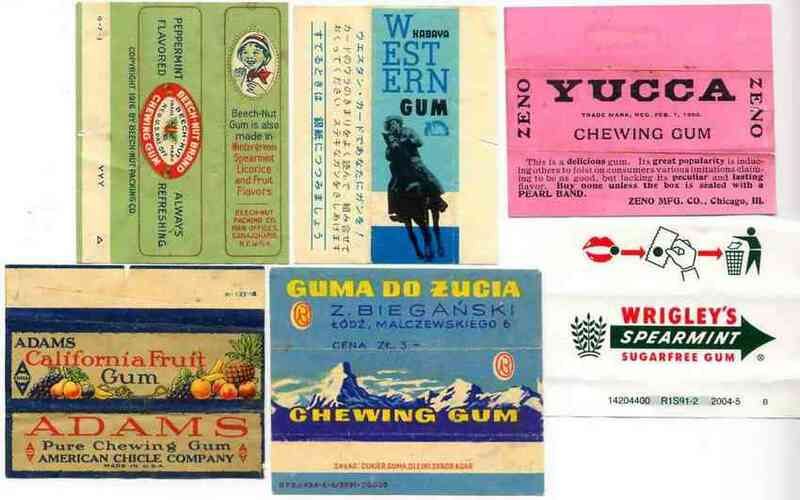 3 chewing gum packs - gum included (№3). 4 related material - advertising - sales items - promotional material (№4). 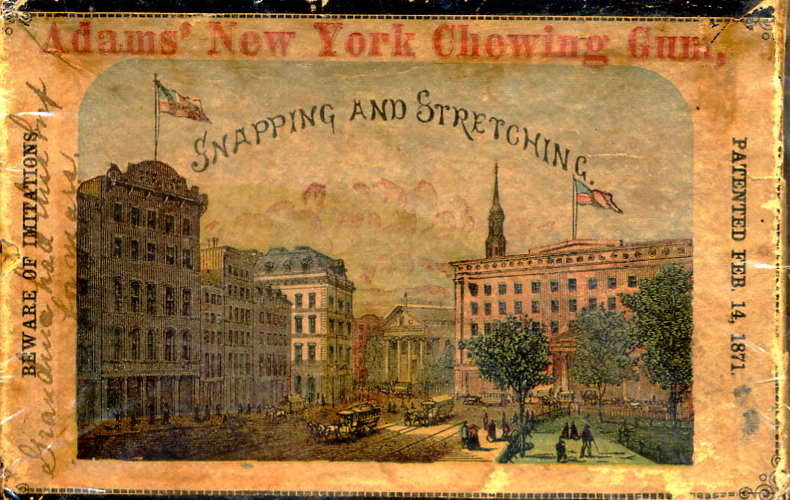 eventually my interest focussed on the classical wrapper for the single rectangular stick of gum (№5). 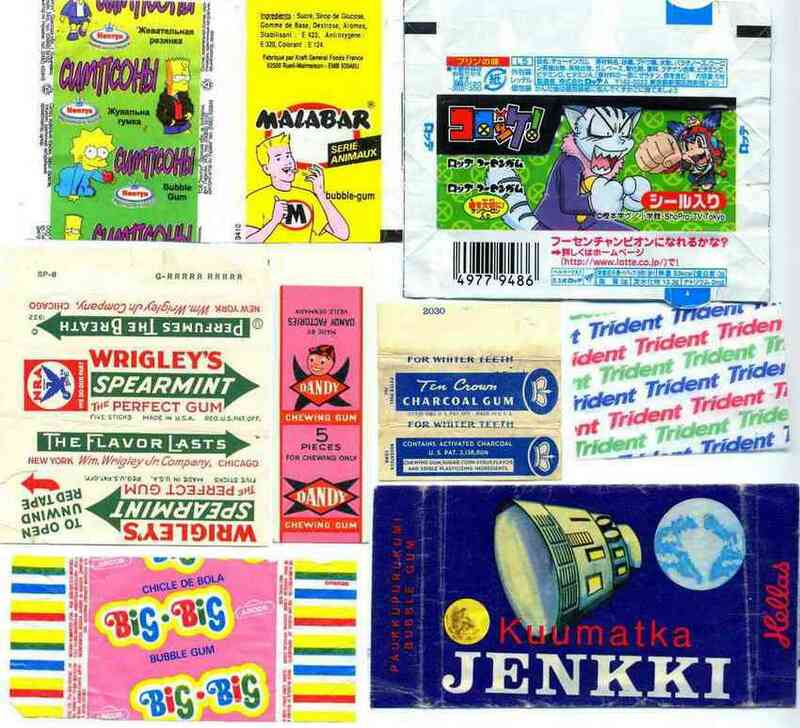 I have kept a detailed catalogue of these wrappers and the collection currently numbers some 37,125 items (May 10, 2013). examples which come up on the Internet. 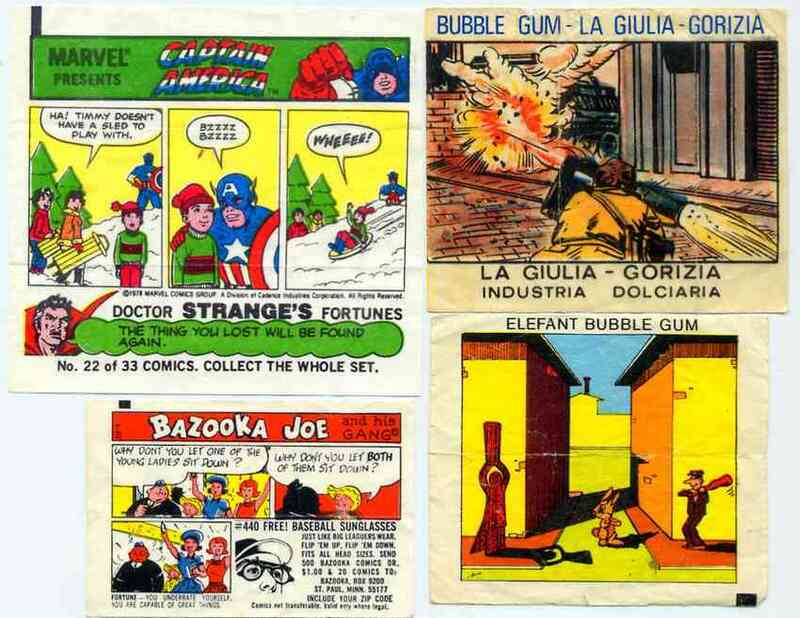 What is it about collecting chewing gum that is so attractive? although for a while I was shy of talking about my childish hobby when I was at university. For some time I was under the impression that I was the only collector in the world. with their vast range of subjects and my collection is now strong in that area. gums from the new factories in Russia. Japan and South Korea have the best variety of flavours. I have a wonderful granddaughter. Outside if my hobby I work. 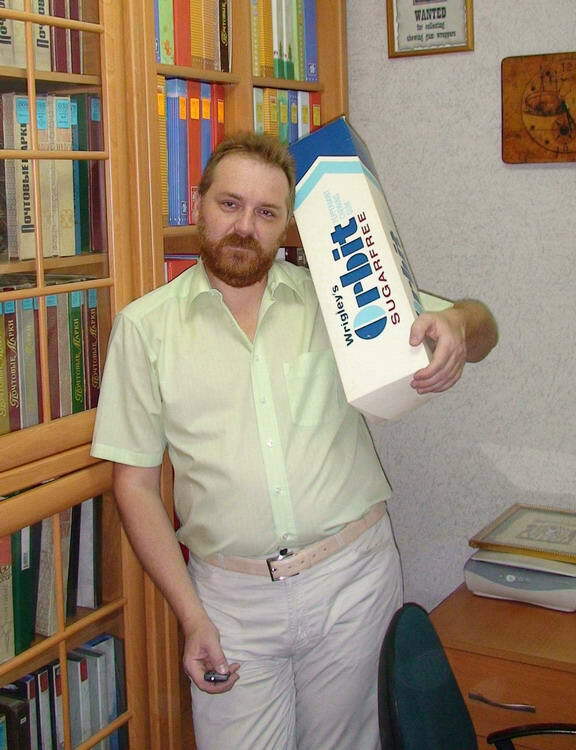 (№7-№10). Are you a collector? 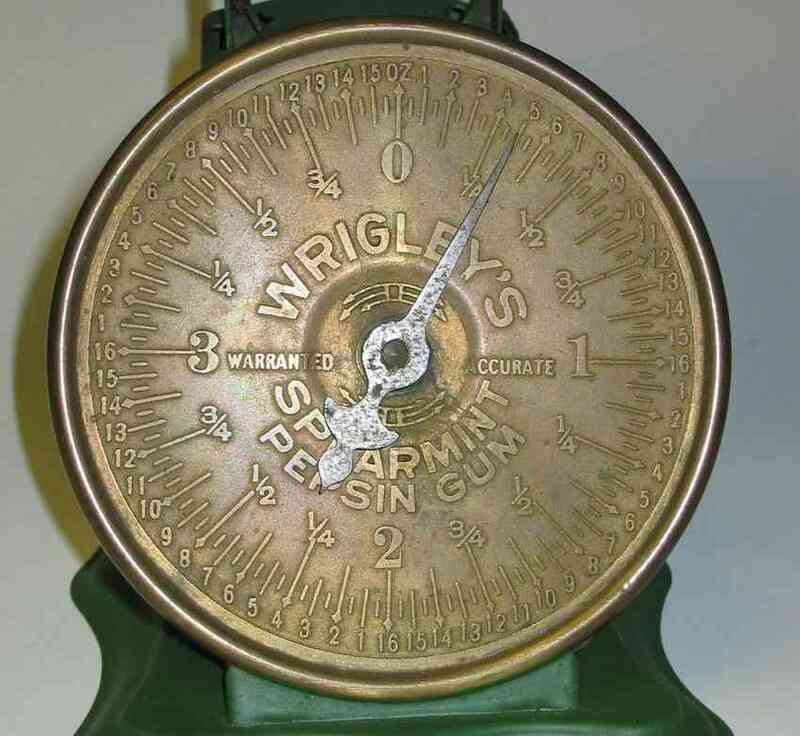 Are there old wrappers in your collection? What is your special interest? Would you like to exchange wrappers and information?